I’ve recently picked up a few shifts a week at a bookstore, receiving and stocking while I think about where I want to go with my career. As a longtime editor, it’s giving me a different view of the book world. The logistics alone are impressive. Early every morning we arrive to new skids of boxes in the back room. The boxes are received and opened, and items are sorted for distribution throughout the store. Everything is checked for promotional status and pricing, loaded onto carts and taken to the proper location for shelving. There is no writer’s block, no editorial hair-tearing; it’s all products and marketing. This is where the ink hits the road, so to speak. Will one lonely copy of a book see the light of day, or will stacks of a bestseller overflow the shelves? You get a physical, hands-on sense of what’s selling and what isn’t. Which authors are popular, and which are glumly standing in the corner at the high-school dance. Training focuses on marketing and product placement. All of the staff love books. Nearly everyone reads during breaks. Fresh volumes released from boxes are occasionally greeted with squeals of delight. But this is, first and foremost, a business. We editors keep reminding ourselves of this — that we are in business — but often we get paid without knowing if a book sells a dozen copies, hundreds or thousands. Well, if one of “our” books hit a bestseller list, I’m sure we’d know about it. It can be sobering when you see what’s selling. Piles of, um, let’s call it lower-end fiction. Tons of self-help. I was completely unaware that so much manga was available in English. Colouring books. Oy, the colouring books! Who knew? But we shelve some Dostoyevsky and Camus, now and then, too. Then there are the authors who seem to have built industries around their names. They pump out so many titles that one wonders if they run well-lit sweatshops full of English literature majors who are paid a penny a word to follow the formula. There may be lots of books on relationships to shelve. And if those relationships sour, well, just around the corner there’s a manual on SAS sniping techniques, or if you’re really angry, hand-to-hand combat. While our team is usually done by the time the doors open, we’ve had some customer-relations training, and occasionally stay on for awhile to fill in staffing gaps. It’s incredibly rewarding to be approached by an eight- or nine-year-old girl with mama prodding her from behind, and be shyly asked where a certain series can be found. And to see the joy when she finds the volume she hasn’t read yet there, pristine on the shelf with that new book smell. Previous post from Paul Cipywnyk: Know Your Subject; Watch That Continuity. Paul Cipywnyk is a freelance editor in Burnaby, B.C. He has degrees in journalism and communication, and is an avid photographer and volunteer streamkeeper. 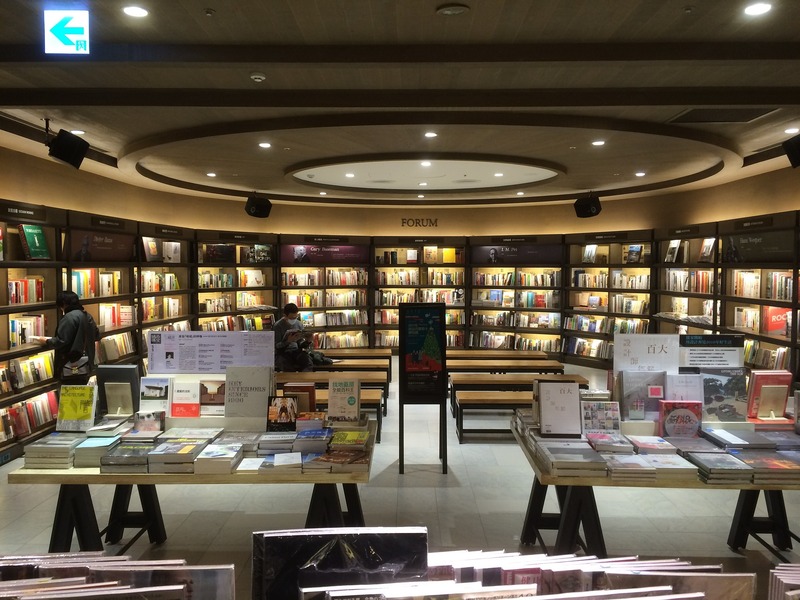 12 Responses to "Where the Ink Meets the Road — Insights From Working In a Bookstore"
Yes, working in a bookstore would certainly clarify what books people choose to buy as distinct from what books editors think *should* be published. The same holds true if you work in a public or a university library: the number of books that, after five years on the shelves, have never been checked out is very alarming. I used to love going into bookstores; now I find them mostly depressing. As an acquisition editor, I am depressed knowing that the fabulous books I have acquired and edited are not even in the store, because the Indigo/Chapters/Smith/Coles monopoly chain made the decision not to carry independent publishers anymore, when it switched 50% of shelf space from books to cute stuff, because books weren’t selling enough. Thankfully, the micro publisher (60 titles and growing!) I work for saw that coming and therefore survived that change when many other Canadian small presses folded overnight when they suddenly found themselves –not just effectively shut out of brick and mortar stores — but faced with six figure bills as their entire inventory was returned to them in one ruthless weekend. As a critic and reviewer, I’m depressed when I see rows and rows of books in the SF/Fantasy section devoted to TV and movie series; to series written to a single formula; to the exact same book written by dozens of different authors all trying to catch the current fad by writing the predictable processed cheese designed to appeal to the lowest common denominator among consumers. It often feels like the big five publishers are so focused on predictable sell through that they have given up on taking risks, on caring about quality and innovation and promoting new authors. I know that perception isn’t accurate, because I’ve met some of the editors at those big houses and they are fine upstanding editors individuals who love books as much as I do, and who are doing their best in a tough business. But I miss the days when presses were small and the acquisition editor and the developmental editor were the same person and made the final decision based on their own tastes and gut feelings without having to worry about shareholders and the marketing department. When publishers were brands that readers could seek out to know that the editor shared their tastes and the reader could buy an unknown author or a new concept because they could trust the editor. Now the consumer can mostly trust that they won’t be challenged by what they choose, won’t have to think as they read, and will only feel what they’ve always felt reading the last 800 Star Trek (et al) novels. As a writing coach, I am depressed because 95% of those who approach me for instruction want to know how they can become best sellers, how they can lose their voice and sound like every other author in the store. They want to know which of the current fads they can write to or, better yet, can I tell them the secret of what the next fad will be. Or, how can they write like a ‘gay person’ (sic, I quoting here) or write black or First Nations because so many writers guidelines these days say the publisher is open to/especially looking for gay/diverse authors, and my clients get upset with me when I raise about cultural appropriation. Or, I have to tell them to stop trying to be Margret Atwood (if they have graduated from university creative writing programs) or Robert Sawyer (if they are trying to write commercial genre fiction) because we already have Marget Atwood and Robert Sawyer and what we really need is their unique voice and their unique perspective and insight, and then we both get depressed when they ask me, ‘will I be able to make a living writing as myself’ and I have to answer, ‘probably not, no’. As an author, bookstores depress me because as I look around at the thousands of titles on the shelves –even ignoring all the processed cheese clogging the space and only looking at the authors I respect because they are pushing boundaries or allowing their uniquely Canadian voice to guide their writing–even if I just look at the books I love, there are so many more here (just today, not even talking about the turn over month to month–all those pallets of new books arriving each morning that Paul unpacks) l can never hope to read them all. If I cannot possibly buy and read all of their wonderful books, how I can I possibly expect anybody, anywhere, EVER to read my poor effort? Not that my book is ever going to end up in an actual brick and mortar store. So, most depressing of all, I can’t remember the last time I actually went into a brick and mortar store. (To buy a book, I mean. I remember buying my daughter a leather bound notebook, and I got the wife a coffee mug, and–well, you get the idea.) But I mostly read on my Kindle app or my Kobo, and when I finish a book, up pops a link to the next book by that author; or I take five minutes to search online for another title from CZP (the last great independent publisher in my genre) or from one of the small presses I follow because I know the editors, know the innovative fabulous work they are doing and know I won’t find any of their books in Paul’s store. 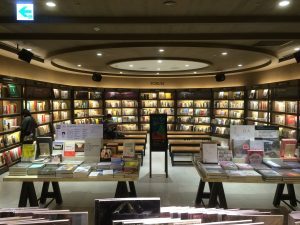 Don’t get me wrong: “Where the Ink Hits the Road” is a great piece, and authors and editors should indeed occasionally visit bookstores to check out the real world of publishing. That there are still bookstores and readers at all is a positive thing! Not trying to argue that bookstores are out of date or that big publishers are evil or anything of that ilk. That would be nonsense. (I may be envious, but I’m not delusional, as some commentators on these issues appear to be.) Rather, just saying that we need to be careful when examining where the ink hits the pavement that we don’t twist ourselves out of shape trying to figure out how to sell out to get a piece of that action. One should always start from one’s own voice (or the client’s voice, if you’re the editor) and look for the market where that book belongs, and not start from the market and try to fit one’s voice to it. The number of writers I’ve known over the years who’ve tried to write that Romance or SciFi novel to earn the big bucks –and failed miserably because they didn’t even read romance themselves or know it’s not called scifi by anyone in the field–far exceeds the number (zero) who made that work for them. The authors I know who became successful all kept to their own voice and only became “overnight successes” after twenty years of nonstop effort to become the best writers they could become, ignoring fads and get quick rich schemes. And who, you know, managed not to get too depressed about the whole thing in the meantime. Thanks, Paul, for this fresh take on one of the best places in the world to work. While unpacking new stock in a bookstore that I managed in the 1980s, I began to wonder about the people on the other side of my book selling equation. Not the authors, but the editors who were the gatekeepers (at least they were then) of the whole enterprise. That question led me to grad school and many years of study in comparative literature. This was the frustrating part of editing government documents. (Well, there were others.) Did anyone read them? Probably very few people in most cases. And the civil servants would write in their annual assessment files, “Wrote a report.” Not what impact that document had on the world. I remembering saying to my boss, what if we wrote the annual report but didn’t actually send it out? We could wait to see if anyone actually ASKED for it. If somebody asks, we can immediately send them a copy, but if nobody asks, we could just stop doing it. And he said, “yeah, no we can’t do that because it’s listed as one of my responsibilities”. So you are not far wrong. But to be fair, I learned a lot of my writing skills doing those reports…like, how to lie with statistics. Er I mean, to spin results. No, I mean, to contextualize interpretations. Yes, Robert, we clearly were not cut out for that kind of work. I feel your pain, at least indirectly. I have volunteered on so many municipal, provincial and federal processes, be they task forces, or community plans, or whatever. And I’d mention to others, well, how about that document produced X years ago? More often than not, it had already been shelved and forgotten, a teeny percentage of its recommendations actually implemented. And this happens over and over again. But it does serve as a record for those who care to remember. A record much appreciated by someone who needs information 25 years later. I’m working on the history of a child welfare prevention project and was given anecdotal information in the form of interviews and memories, many without dates or other anchoring facts. then research reports from 1990-1995 rescued me. A “record” should not be called a report, though. A report is meant to have an audience. Thanks for this interesting perspective, Paul. It was a delightful read. An interesting and insightful article, Paul. And oddly uplifting too, in its description of all those skids of books coming in every day, proof that books are still being produced — by small presses, even! And there are still a few independent bookstores around, that actually feel like bookstores. I add my thanks, Paul, for your amusing insider views. About ten years ago I did a short internship in a small independent bookstore (R.I.P. Mallard Books), which gave me a better appreciation of the bookselling business. It was all about customer needs and good customer relations . . . and tight margins, of course. I like to remember that the first publishers were also booksellers . . .
As you consider your career options, I hope you will include writing! I have some ideas so we should talk.